Learn the unique secrets of using candlesticks in FX markets. Choose the training package for you – from beginner level training to the most advanced training you can get for candles and FX. 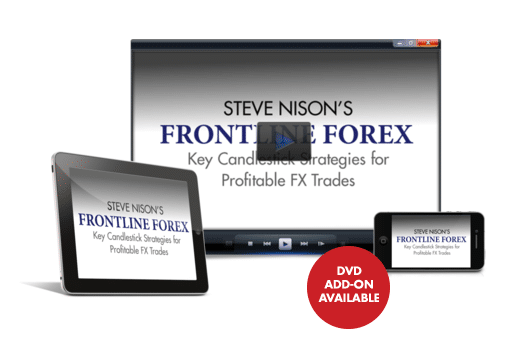 You’ll get strategies to combine candlesticks with forex to distance you from other traders and maximize your success. No need to travel… learn from the comfort of your own home or office! "Now I trade with confidence. Candlecharts.com’s FX education is the best investment I have made in my entire life. A million thanks." "Steve’s method is SIMPLE too, not cluttered with a lot of indicators to confuse a beginner like me. It's the BEST THING I'VE EVER PURCHASED FOR MY CURRENCY TRADING, PERIOD."